The Caulfield to Dandenong rail service is in the midst of receiving a major makeover, with a whopping nine level crossings being removed across the whole line. To go along with the level crossing removals, five new stations are being built. This aims to reduce traffic in multiple areas and will also enable Uni students at Monash Caulfield and Monash Clayton campuses to reach their destinations with ease. Signal failure will become a thing of the past as the upgrades aim to eliminate structural and electrical problems along the line. Do you want a job in Rail? Click here to find out more about an exciting new career! A mixture of strategies will be used to remove the level crossings, including above ground rail. Some of the areas being worked on are too narrow to completely rebuild, so the use of above ground strategies is the only option. This means that native wildlife and other heritage listed areas will receive minimum disruption, and the natural environment will be preserved. The final design of the updated stations are slick, with more open park spaces, parking spaces and cycling areas for commuters and residents of the area alike. Currently, train schedules are unaffected by the works, with services continuing for the time being. Above ground rail has become a controversial topic. However the Dandenong line is home to many different ecosystems, and tunnelling would not only cost a lot more, but would also destroy homes, take longer and potentially destroy the natural habitats of animals and lose precious nature-filled areas for future generations. Scientific research and detailed assessment of the environment has helped upgrades to be as useful to the everyday commuter as possible. While noise levels will naturally increase during the time of the updates, they are set to decrease immediately afterwards. Along with this, air quality to local households will increase, as dust and dirt thrown up from trains will be taken away from the ground and elevated instead, away from people and the local community. 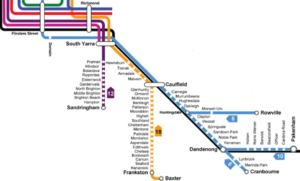 The Frankston line has been pushing for underground rail, however the Dandenong line has a huge potential for a new landscape with more room for residents, along with less disruptions overall. The Rosanna Line has also opted for above ground rail with a sleek new look, completely transforming the North-Eastern corridor of Melbourne. These new stations include room for cafes and other retail spaces within, and the addition of bathrooms and other facilities which will aim to make the everyday commuters journey much more comfortable. The debate on above ground or underground rail is ongoing, however, the upgrades are likely going to improve on the current situation. In the process these works will create thousands of jobs along the line and across the network. 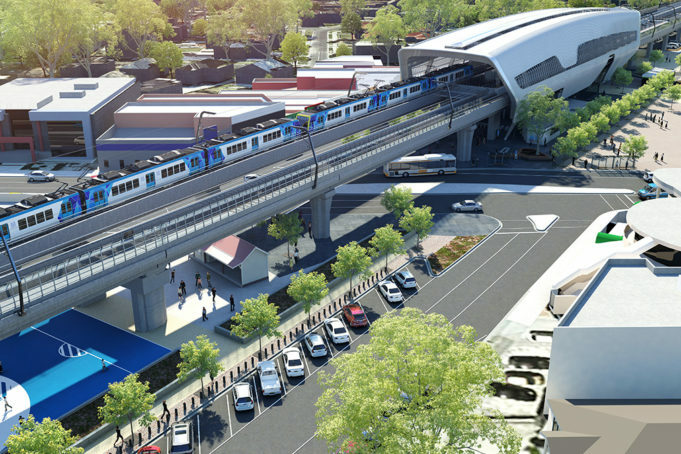 The Caulfield-Dandenong project is due to finish by 2018’s end, with a promise of a smoother flow of traffic and a more streamlined train service.